Established in 1972, the James Cook Hotel is a much loved Wellington institution, named after Captain James Cook, who first sighted New Zealand in 1796 on the Endeavour. The property joined the Hotel Grand Chancellor Group in the early 2000's when the parent company, Grand Hotels International, first entered the New Zealand market. The Hotel is ideally positioned on The Terrace in close proximity to the business and government district. Guests benefit from direct access off the State Highway One and pedestrian access to Lambton Quay, the golden mile of shopping in Wellington City. The 268 room Hotel has a 100% NBS (New Building Standard) Rating; a national measurement of a buildings seismic strength. 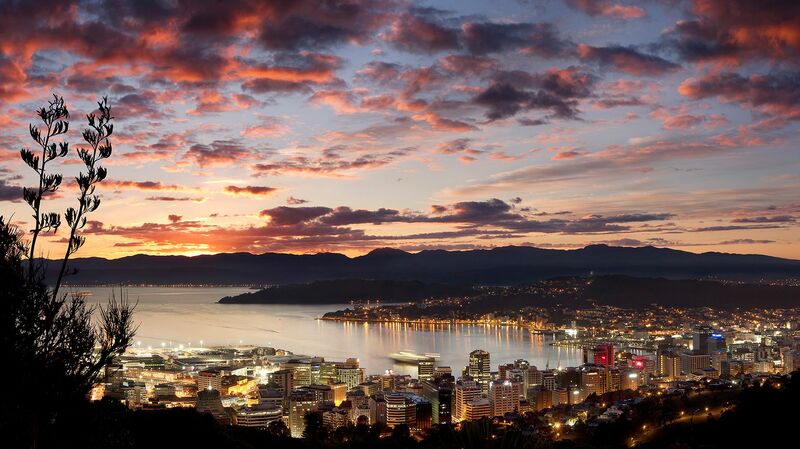 We are part of the 'coolest little capital in the world' and encourage our visitors to explore nearby attractions, soak up the culture and make the most of their time in Wellington, New Zealand. The James Cook Hotel Grand Chancellor acknowledges the impact of tourism and the importance today’s business and leisure travellers place on environmentally friendly practices. We aspire to be leaders in the field of sustainable travel in New Zealand and have implemented a number of initiatives, largely driven by our dedicated 'Green Team' and executive management. Our guests can choose to have a "Green room service", carbon emissions are reduced by diverting organic waste from the landfill and minimising resource consumption. We are EarthCheck Gold Certified and are endorsed Enviro Gold by Qualmark. Our Hotel is well-known locally and we support the community we are a part of. Staff regularly volunteer their time at the native wildlife sanctuary Matiu/Somes Island, located in Wellington Harbour and managed by the Department of Conservation. We regularly support charities such as the Mary Potter Hospice and the Island Bay Marine Education Centre, through staff volunteering and providing competition prizes. A benefactor of the Air New Zealand Environmental Trust, executive management travel to Mangarara Station in the Hawkes Bay to plant trees and learn more about the organisations commitment to repair, regenerate and rejuvenate the planet. We aim to utilise local products wherever possible, such as sourcing fresh produce for our restaurant outlets and providing Forest and Bird amenities in our premium rooms. We are proud to support local events, working together to drive the Wellington economy and promote the positive impacts of tourism. One of our most valuable assets are our staff and we consistently receive positive feedback from guests regarding the high level of service and warm welcome extended to our visitors. We have a Human Resource department dedicated to developing our team, encouraging internal promotion and upskilling. Supporting the community, we aim to employ persons living in the local area wherever possible and have close relationships with hospitality training institutes such as WelTec, New Zealand School of Tourism, Victoria University of Wellington and ServiceIQ. The Hotel participates in the HotelIQ programme for frontline staff and the Level 5 National Diploma in Hospitality for supervisors and managers. As one of ten Hotel Grand Chancellor’s located in Australia and New Zealand, our people have the opportunity to grow their careers by transferring to one of our sister properties. If you have a passion for great customer service and want to grow your professional hospitality career, please visit our recruitment website. Today’s traveller desires accommodation to feel more localised, personalised and authentic, whilst providing the comforts of 'home'. One of the ways we achieve this at the James Cook Hotel Grand Chancellor is by delivering a range of offerings to support the health and wellness of our guests. We have a fitness room located on level 16 of the Hotel and guests can also request complimentary passes for a nearby gym (Les Mills, Lambton Quay). Complimentary guest Yoga is offered monthly, instructed by Shirley McLeod from Yoga with Me. Our Executive Chef has also been working hard to provide healthy, locally sourced items on our menus at our two Wellington eateries. At Sojourn Café & Bar, guests can feel rejuvenated with energy smoothies and our breakfast, lunch and dinner menus focusing on crisp, wholesome flavours. Upstairs on level 17, Whitby’s Restaurant & Bar source produce from the Wellington region where possible.